Cytochrome P450 2D6 (CYP2D6) is an enzyme of great importance for the metabolism of clinically used drugs. 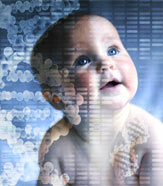 More than 100 variants of the CYP2D6 gene have been identified so far. The aim of this study was to investigate the allele distribution of CYP2D6 gene variants in 100 individuals of each of the Macedonian, Albanian and Romany population, by genotyping using long range polymerase chain reaction (PCR) and a multiplex single base extension method. The most frequent variants and almost equally distributed in the three groups were the fully functional alleles *1 and *2. The most common non functional allele in all groups was *4 that was found in 22.5% of the Albanians. The most common allele with decreased activity was *41 which was found in 23.0% of the Romany ethnic group, in 11.0% of the Macedonians and in 10.5% of the Albanians. Seven percent of the Albanians, 6.0% of the Romani and 4.0% of the Macedonians were poor metabolizers, while 5.0% of the Macedonians, 1.0% of Albanians and 1.0% of the Romanies were ultrarapid metabolizers. We concluded that the CYP2D6 gene locus is highly heterogeneous in these groups and that the prevalence of the CYP2D6 allele variants and genotypes in the Republic of Macedonia is in accordance with that of other European populations.